Handrails and stair railings – they sound like pretty much the same thing. They’re not. A Promenaid handrail meets Americans with Disabilities Act (ADA) standards as well as the most stringent safety and stability demands. It’s designed to exceed building code requirements – simply, easily and attractively. That’s why professional builders and DIYers are installing Promenaid handrails in houses and apartments as well as public spaces of all kinds from offices and movie theatres to churches and hospitals. And that’s why people are choosing them to protect family members such as seniors who face threats from falling. A stair railing, on the other hand, is mostly to prevent people from falling off the side of the stairs. They aren’t asked to do much more – and they don’t. Grip is a key difference between Promenaid handrails and stair railings. 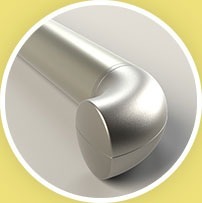 Our handrails enable users to get the firm grip they need for their stability and security. Stair railings don’t. Picture a standard household stair railing. It’s somewhat rectangular-shaped with a slight bulge at the top like a loaf of bread. You can run your hand along its surface as you climb the stairs but can you really grab it and get a solid grip when you need to? No. Your fingers must be able to wrap around the rail fully to get a Power Grip. That Power Grip is five times stronger than the pinch grip for a typical stair railing. The ADA requires handrails like the Promenaid to be between 1½ and 2 inches in diameter because anything less means more risk of falling. Think of it this way: Imagine trying to swing a hammer by holding it in your fingertips. This is similar to how many people would grip a decorative stair railing. 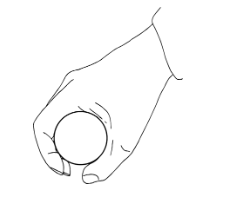 You probably wouldn’t be able to hold it tightly in your hand, and therefore, your chances of losing your grip as you struck a nail would be far higher. The same holds true should you lose your balance as you walk up or down a flight of stairs. When your hand doesn’t have a secure hold, you’re at a greater risk of losing your grip and taking a fall. A Promenaid ADA-compliant handrail provides continuous, uninterrupted support compared to traditional stair railings that are often broken by posts or gaps at the corners. A Promenaid handrail follows every angle and outline of a staircase so you never have to take your hand off the handrail at any point during your climb. That means more points of contact with the handrail and more security to stay upright and stable. 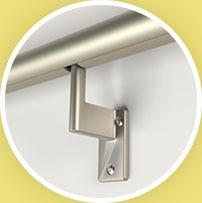 The right handrail bracket is a key to continuous handrail contact. It can’t get in the way of hand movement along the railing. “L” shaped brackets that connect at the bottom of the handrail do that job best. That’s why Promenaid uses them. They make it easy to hold the handrail with a Power Grip at all times. Strength is a real test of a handrail or a stair railing. 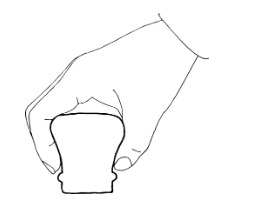 You want it to withstand a sudden pull when you grab harder to prevent a sudden fall – not come out of the wall. Promenaid handrails are made from extruded aluminum with rib reinforcements that deliver extraordinary lightweight strength. 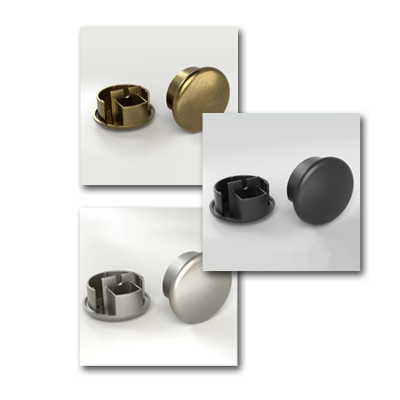 The die-cast zinc brackets with rounded corners are strong enough to withstand 500 pounds of force in any direction – exceeding the AC273 requirements of the International Code Council. Decks, ramps and elevated porches in houses and public locations require railings 42” high to prevent falls over the side. But those railings are not meant to be handrails. Secondary Promenaid handrails at 36” deliver ADA compliance with the cost benefits and convenience for a homeowner or a property manager of keeping an existing railing in place. Good looks matched with the security to meet code requirements are a powerful combination for architects, professional builders and DIYers. 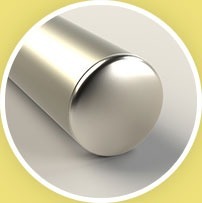 Promenaid handrails are the growing choice of designers with beautiful finishes that work in any setting. You can choose from Satin Black, Champagne Silver or Architectural Bronze satin-anodized aluminum handrails. The anodizing process gives the aluminum a beautiful look with unmatched durability. The finishes are scratch and weather-resistant, making them a perfect choice for interior and exterior uses without the risk of chipping, flaking or fading of painted finishes. Promenaid TrueWoodTM is an ideal way to add a warm, natural wood look to an interior handrail. These finishes don’t just look like real wood; they are real wood. A very thin layer of wood is bonded to the aluminum to bring the natural appeal you want to the strength and durability you need. Available in prefinished Black Walnut and Red Oak, you can also choose an unfinished oak for staining in the color you select. 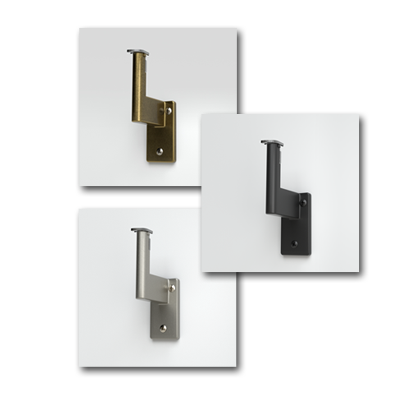 Promenaid handrail brackets, fittings and endcaps are available in Matte Nickel, Antique Brass and Satin Black finishes. Builders and designers are putting Promenaid handrails to work in diverse applications far beyond just staircases. In both family homes and in public settings, they are installing them along hallways, corridors and wherever people need support and stability to prevent falls. DIY and professional customers are turning to Promenaid for easy-to-install handrail kits to make short runs of stairs safer – 1 step to a sunken living room; 2 or 3 steps from a garage into the home thanks to a simple 18”, 24” or 36” handrail kit. 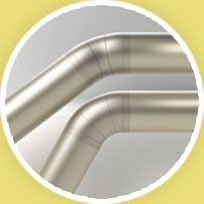 Customers are also switching to Promenaid Integra™ grab bars for shower, bathtub, and toilet area applications. 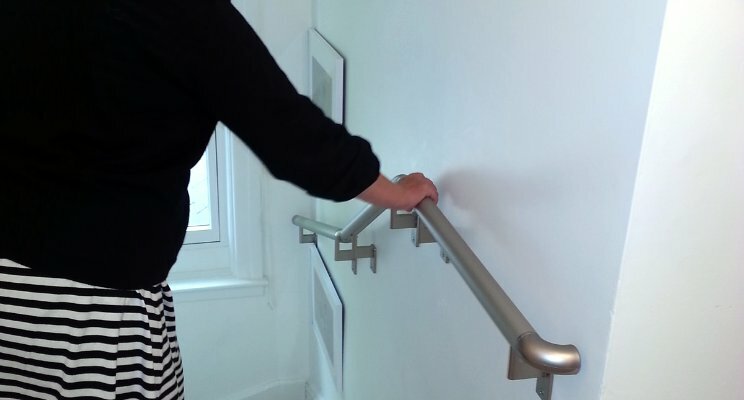 They also apply the strength, versatility, and elegance of Promenaid handrails to uses around doorways – and without the unsightly flanges of traditional grab bars for a far sleeker and cleaner look. The non-slip, anti-bacterial vinyl inserts provide added grip where people need it most. Promenaid ADA-compliant handrails deliver simple, attractive and easy-to-install results in outdoor uses both along walls or attached to posts. A continuous handrail is an easy way to minimize the health and legal risks of spills and falls along residential or commercial building footpaths and near doorways, especially for anyone carrying items like groceries. Promenaid customers love how our DIY handrail kits make it simple to add code-compliant handrails to their homes or commercial, institutional and industrial buildings. Complete Promenaid handrail kits from 18 inches to 18 feet are available on Amazon.com. Choosing the right kit takes just 3 simple steps. Choose from our 5 finishes. 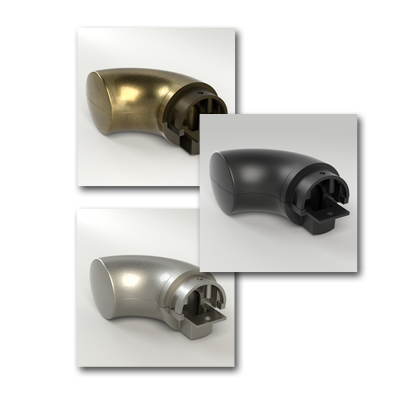 Choose the flush-fit endcaps or 90° endcaps you need to customize and finish your handrail. Our 90° endcaps are also known as “ADA Returns” or “Wall Returns” because they comply with the code by returning the handrail to the wall. Nothing gets snagged or caught by the handrail. We include the right number of brackets for the length ordered in each kit. Our patented bracket locks in place anywhere along the handrail, so it’s easy to attach them wherever a stud is in a wall. Those brackets enable even a DIY builder to angle them to match the grade of any staircase. A custom order from Promenaid is the easy way to get a handrail for a more complex configuration than our pre-built kits. 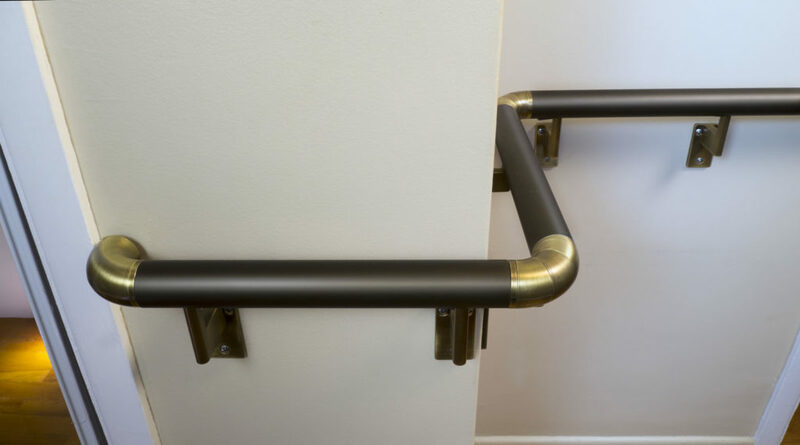 Customization enables a solution that is just right for corners, slope changes, different angles and specific lengths – and a perfect choice to ensure your handrail installation complies with local building requirements and with the ADA code. Use our helpful online guides to learn more about calculating handrail lengths and stair pitch or grade. With a clear plan and measurements, Promenaid creates and ships your made-to-measure handrail in as little as 24 hours, thanks to our modular design. Our handrails’ unique articulating joints make it easy to navigate any corner or change in slope without complicated calculations or compound miter cuts. The installation is simple and easy – even when some trimming is required to ensure the most precise fit around corners and on slope changes. Our aluminum handrails are designed for an easy cut to the required length with a standard miter saw equipped with a carbide blade. There’s no sanding or deburring required. The ADA guidelines are widely accepted as an international benchmark for accessibility. They are reflected in codes such as the International Building Code commercial standard for handrails and the International Residential Code. When properly installed, Promenaid handrails meet all these requirements. Visit the United States Access Board website for more information about the ADA standards and to learn about all considerations and exceptions that may affect your project. Find out more about handrail installation, handrail kits, and custom handrails by contacting Promenaid Handrails at 888-992-4943.